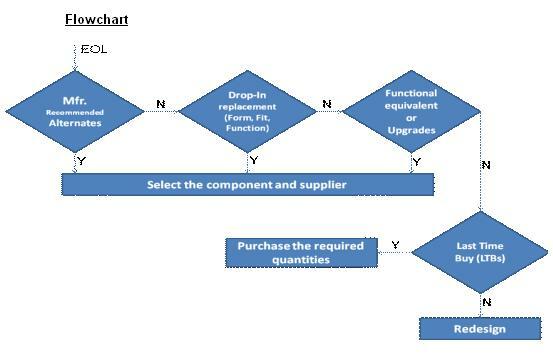 In continuation to the previous articles on electronic component sourcing guide, EE Herald is publishing this last article of the series. The previous articles can be viewed at www.eeherald.com/section/sourcing-database/. This below writing is about the sourcing team and its responsibilities and priorities. The success of the company, as said in the introductory module, largely depends upon the success of the individual functions or teams within the organisation such as product development and design, sourcing and procurement, manufacturing and supply chain, marketing and sales, etc. The product development and design teams aim at designing a product with rich features to enable competitive edge while the marketing and sales promotes and makes the product reach the end customers. Similarly, the sourcing team plays an important role in selecting the proper suppliers, making the components or raw materials available in time, always hunting for cost-benefits and many more. So, in this module, we shall go through few important aspects of the sourcing team in addition to their importance in the growth of the organisation. More often, one may come across the situations as given below. 1. Few samples in a lot of components procured failed in the initial tests and imagine the situation if there isn't a warranty or "return of goods" agreement signed with the supplier. 2. You come to know that the supplier with whom you did business in the recent past is involved in supplying counterfeits. What actions would you take to protect your business? 3. What channels would you follow to procure hard-to-find (critical) components? How do you plan your budget for such situations? 4. The cheque was paid in the name of an individual who represented the supplier and for your surprise the same individual was no longer working with that supplier. How would you respond now? 5. The supplier with whom you do business employs child labour. How to handle, monitor, and follow the rules of the land and the company? 6. In one or the other circumstances, one would have felt that it would have been profitable and smoother if a different supplier was considered than the present one due to one or the other reasons and bottlenecks the supplier had created. How many efforts were placed to evaluate and chose the most convenient and preferable supplier to do the business with? One may assume that the sourcing team has a very limited role and confined to procuring task alone. But, the fact is that they are responsible for a wide variety of important tasks. The sourcing team is the resource (materials, components, services) provider and hence their job is critical because their expertise can control the cost of the raw materials. One wrong step here can shoot up the overall product development cost. 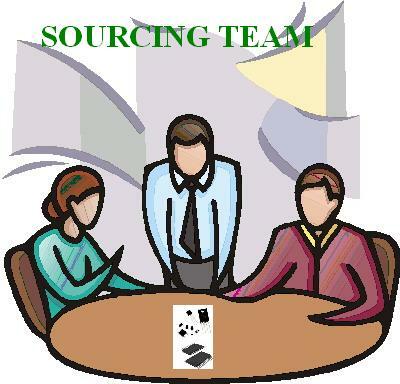 Important responsibilities and activities of the sourcing team are given below in no specific order. 1. Supplier selection, evaluation and strategic partnership: Plays a vital role in the selection of suppliers by considering various factors such as quality, affordability, brand, competitive pricings, superior technology offerings, accessibility, EHS (Environment, Health and Safety), conformity to regulations, non-disclosure agreements, lead-times, service, customer-support, and many more. Sourcing team bridges the external suppliers or providers with the organisation. In addition, they identify, evaluate and approve the multiple suppliers to form the preferred and approved suppliers list. Periodic audits are also conducted as part of the strategic partnership to ensure mutual growth. Any non-conformances in terms of hazards, deficiencies, poor quality, delivery delays, violating regulations and agreements, etc., are handled by the sourcing team with the help of other supportive functions. A strong and healthy supplier relationship eliminates redundant and waste efforts thereby promote cost-controlled superior product development. 2. Procurement of raw materials and components: Most of the requirements posed by all the departments inside the organisation are procured by the sourcing team with the help of related departments. The main objective of the sourcing team is to purchase the exact raw materials or components as per the given requirements within the given timeframe. Requesting the quotations, creating the purchase orders, participation in the bidding process, entering in to the contracts, etc., are all the responsibilities of the sourcing team. Quality, lead-time and cost are the major factors that are stressed much while sourcing the materials and components. One should not ignore the facts that customer service, shipments, finance terms and conditions, and warranty liabilities are also taken care as part of the assignment. The sourcing expertise helps the organisation in reducing the overall procurement costs enormously. 3. Sourcing parts database maintenance, document and inventory control: Naturally, the team who purchases the components and materials have better control on the latest parts list or the parts database. The sourcing database mostly contains the part numbers, manufacturer details and their contacts, pricings, purchase orders and their transactional details, sourcing personnel's details, currency and mode of payments, alternate suppliers list for each component, periodic stock details, annual usage and demand, etc., In addition, the team also supports the supply chain by following the company's document control procedures. The ERP, if available, is updated for every transaction made in the inventory. 4. Testing, inspection and screening of purchased items: The purchased components are verified for their quality and defects. Sourcing team, as per the prior agreements, is responsible to return the defects or poor quality items and make the supplier liable. In many scenarios (critical, custom or high cost components), the sourcing team receives the samples from the suppliers for thorough testing and then receives the components in bulk. Hence, the sourcing team coordinates with the design teams in performing the testing activities. Testing and inspection are conducted to meet the Purchase Order requirements and can vary from verifying few samples to the entire lot. Agency critical components which require additional tests and screenings are thoroughly verified. One should remember that testing and inspection prepares the components for assembly or installation after gaining enough confidence on the procured components. 5. Cost control and plan expenditures: The sourcing team in successful organisations control the procurement costs by minimizing wasteful expenditures and have systematic-well developed procedures in place. 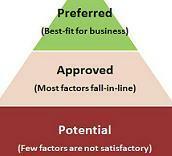 Formal approvals are insisted for every Rupee spent in the organisation so as to control the product development cost. 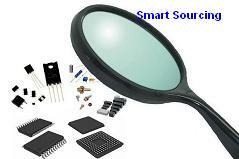 Also, the sourcing team avoids unwanted or untimely investment of raw materials or components. The team works closely with the finance and product development teams as well as provide them important metrics for planning annual budgets. A Rupee saved is equal to a Rupee earned….! a. Mitigate risks posed by obsolete components by proactively monitoring the life cycle status of the components in the active bill-of-materials (BoMs). b. 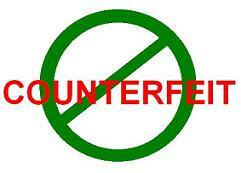 Major threat is caused due to the counterfeit components presence in the inventory. Always procure components from reliable sources and have well-written agreements with suppliers in place to protect the business and reputation. c. Logistics maintenance and inventory storages are planned strategically based on the factory / plant location as well as the region from where most of the critical and bulk raw materials are supplied from. This is meet economical expenditures on logistics as well as to ensure timely availability of the materials for production. d. Prepare suitable plans for proper disposal of unused components thereby only active inventory is maintained.